It’s been 12 years this month that my Abuelo passed away. He was such a funny man and always made lite out of any situation. He was a character all by himself. He had a way of giving everyone he met a nickname. Much like my Abuela, he was great in the kitchen. My Abuelo was a man’s man – “A Mexican Man” who prided himself in being dapper, and grooming himself to the tea. I can still smell the Tres Flores (hair grease) he would add to his super straight hair to make sure it stayed in place. He had that greaser come over look everyone is sporting these days. I would get a kick out of watching him work as one strand of hair would fall to his face. If it was out of place you knew he had been working hard. I remember one time driving to Tijuana to visit them. We always had a great feast and an assortment of food. But this particular time my Abuelo wanted “Tortillas De Harina.” My Abuela didn’t want to make them because she had been cooking all day. Abuelo kept insisting with no luck. He said, “Hasta con los pies puedo hacer las tortillas de tan facil!”. Then Abuela quickly responded, “Ponte hacerlas pues. Yo te hago la harina y tu las haces.” Everyone there started antagonizing him! He was gonna prove his point – making tortillas is a breeze! Abuela quickly got the mix together and handed it over with that “prove me wrong” attitude. Abuelo rolls up his pant legs and grabs a piece of dough, throws it on the dining room floor and says, “Ponme el Sinaloense! !” Bam, the song went on. Not even sure how or who put it on in an instant. The song started and he started to dance around the dough and with his feet he began to shape the tortilla. Everyone gathered and we were all laughing, having a great time. I believe I was a teen at the time and wasn’t sure what to think but it was such a big deal in the family. We often talk about it and laugh uncontrollably. Abuelo era bien ocurente. He was such a witty, impulsive man. So he proved Abuela wrong and she went to work. Nevertheless, we had fresh tortillas with our meal that day. 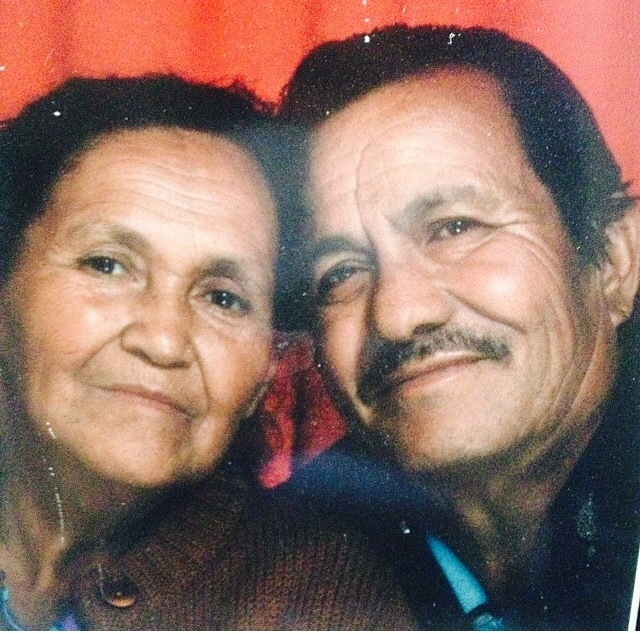 Abuelo, I miss you and you are forever in my memories and my heart.